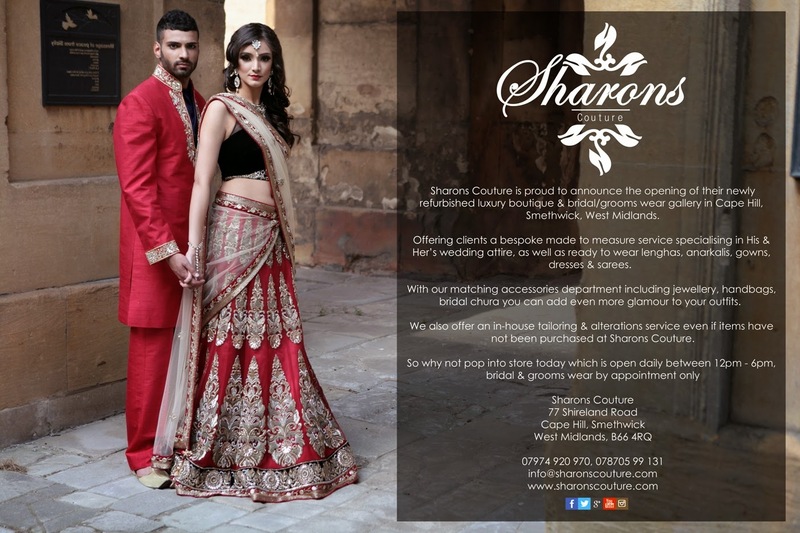 Sharons Couture is proud to announce the opening of their newly refurbished luxury boutique & bridal/grooms wear gallery in Cape Hill, Smethwick, West Midlands. 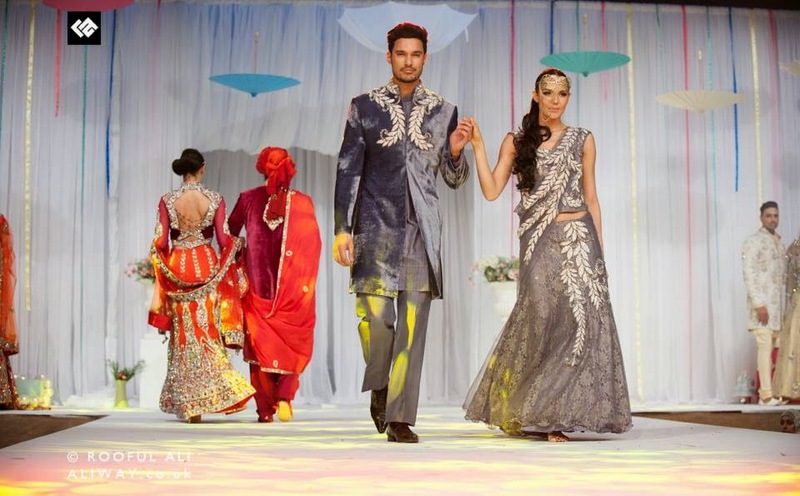 Offering clients a bespoke made to measure service specialising in His & Her’s wedding attire, as well as ready to wear lenghas, anarkalis, gowns, dresses & sarees. With our matching accessories department including jewellery, handbags, bridal chura you can add even more glamour to your outfits. 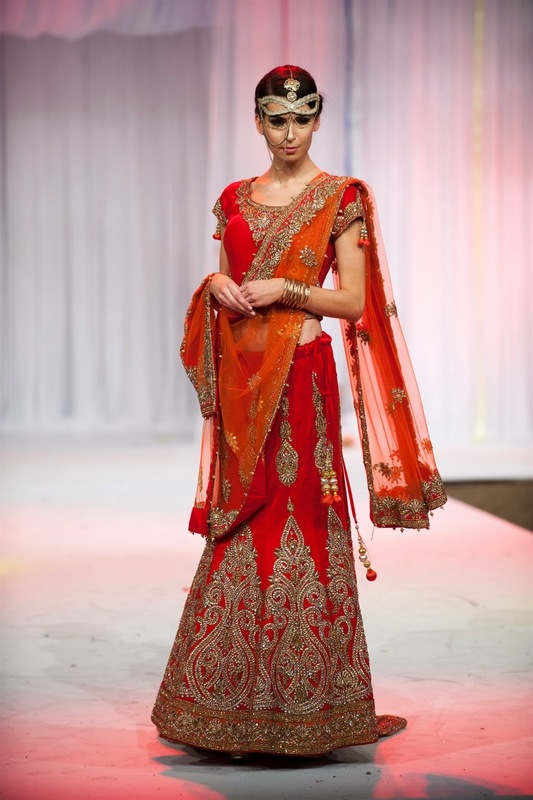 We also offer an in-house tailoring & alterations service even if items have not been purchased at Sharons Couture. So why not pop into store today which is open daily between 12pm - 6pm, bridal & grooms wear by appointment only. 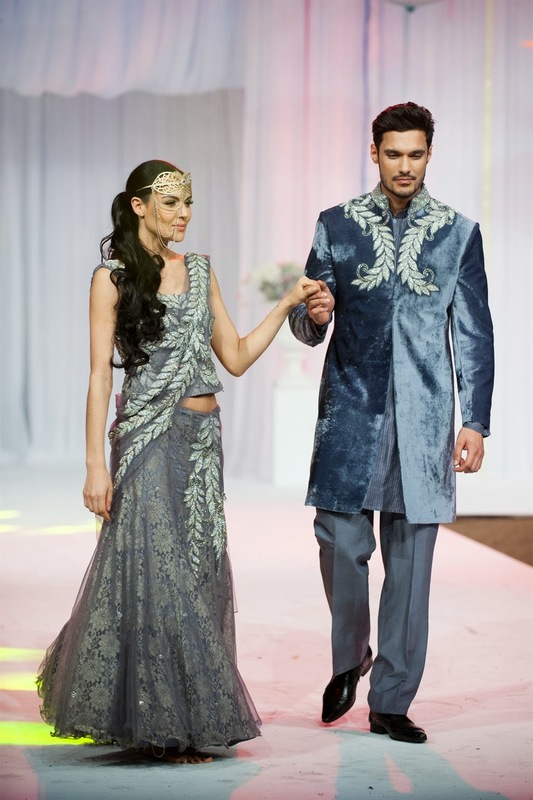 Face of Sharons Couture 2014 Winner - Sunil Patel of Wolverhampton in his first His & Hers Collection shoot by Haré. 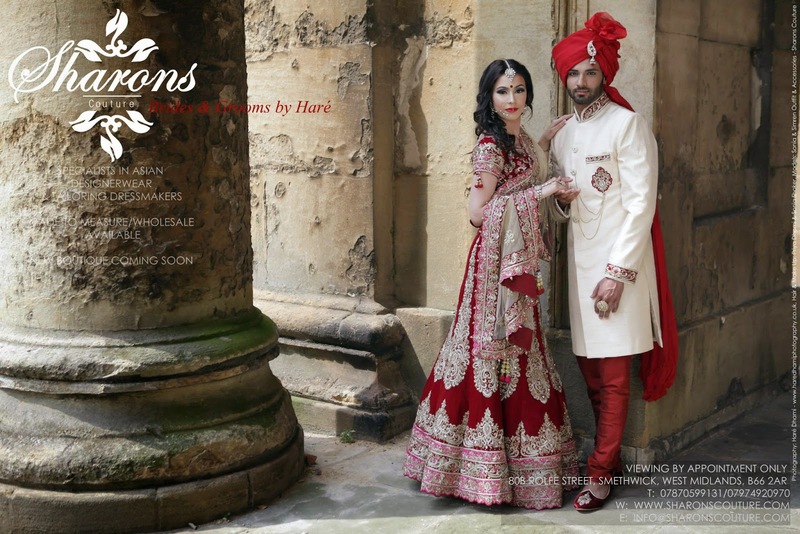 Introducing the first bespoke his & hers collection by Haré exclusively at Sharons Couture - www.sharonscouture.com - All available on a full bespoke made to measure service which includes sitting down with Haré and designing your dream wedding outfit from scratch. So I’ve decided to write a bit of a personal post myself today to all you brides & grooms out there who are currently planning their wedding outfits & getting quite stressed out. I know & can understand how stressful, time consuming & sometimes frustrating it can be going from shop to shop, liaising sometimes with shop assistants whom usually don't even understand what your aiming to achieve because the owners cant even be bothered to come down to serve you themselves as it will hurt their egos, none of them willing to make change to their 'designs' & usually trying to sell you a replica of a 'famous Indian designer' or forcing a design on you which you hate the look of but if you book today its 50% off!!! 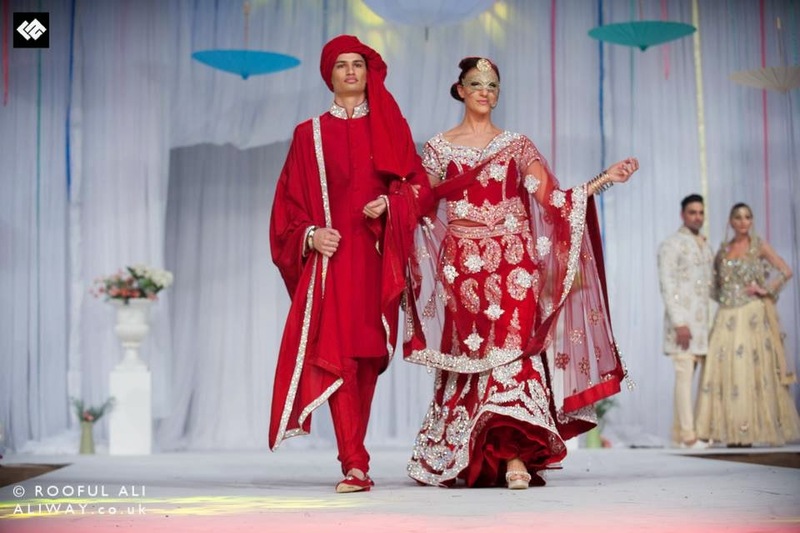 With your wedding date getting closer & closer & time running faster & faster, you still haven't managed to find or create the outfit of your dreams, brides maids bugging you 'so what's colour scheme?' 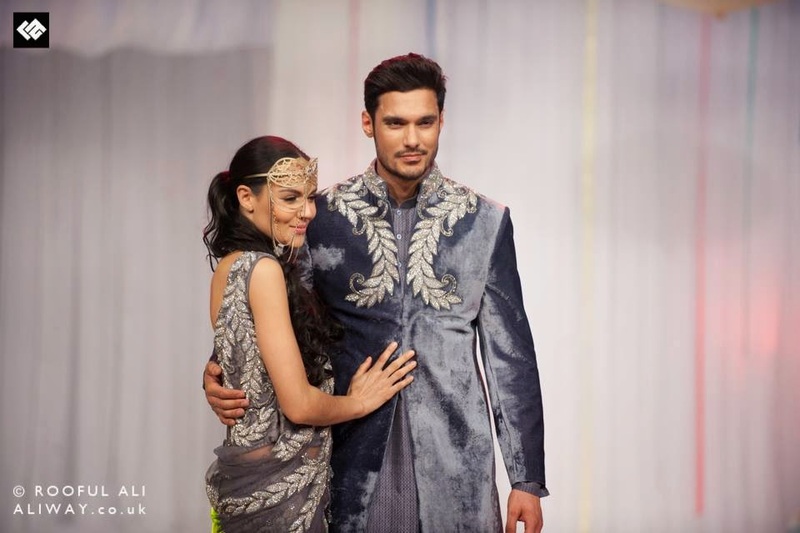 hubby to be asking 'what embroidery am I matching my sherwani to?' 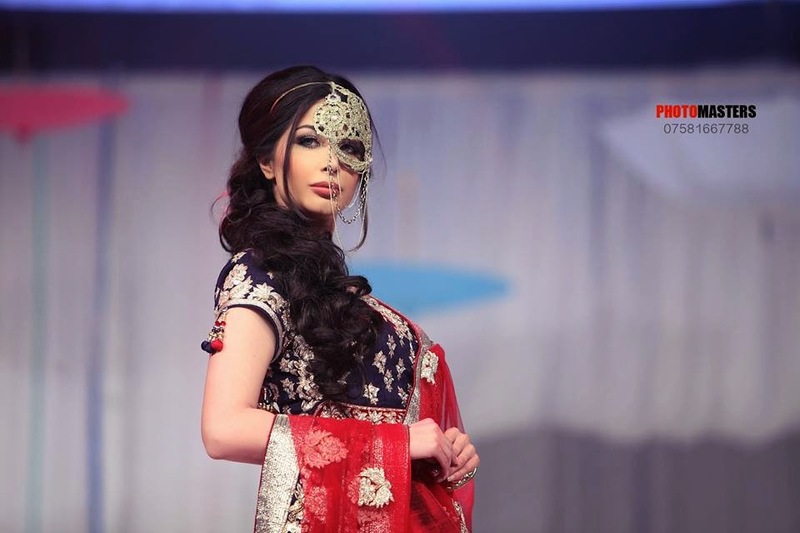 Make up artist wants to know 'what’s the border of your dupatta/jewellery?' and all you can say "I DONT KNOW!!!!" take a breather, calm down, take a pen to paper and make a list or follow my tips as a designer of what you need to know & need to look at when your placing an order. I cannot stress how important time is, please please please (times a million) don't give yourself any less than 6 months, I cannot stress how important planning is. 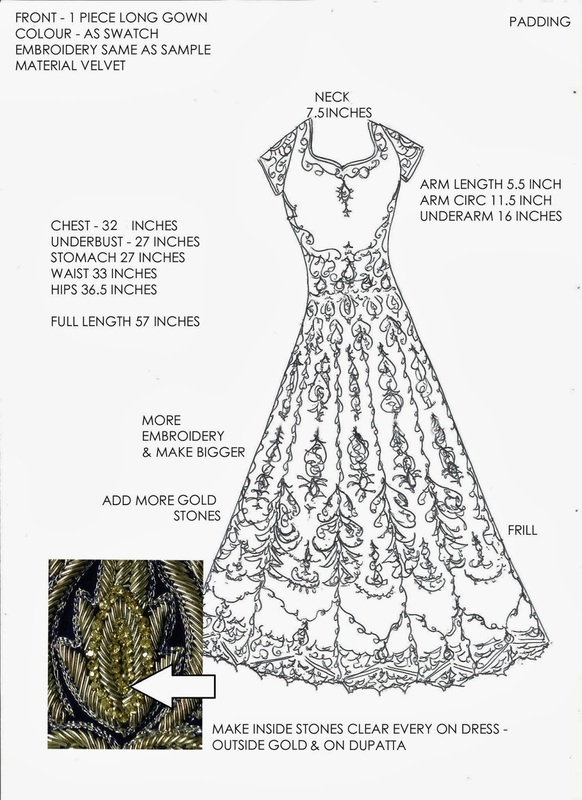 At Sharon’s we need 9-12 weeks to create your outfit, which is just under 3 months, initial steps usually include consultations, pen to paper, trying on samples, picking out fabrics, colours, embroideries etc. I know places out there say yes we can do it in 4 weeks! But REALLY?? Do you really want your big day outfit rushed and more importantly will it actually arrive in 4 weeks? 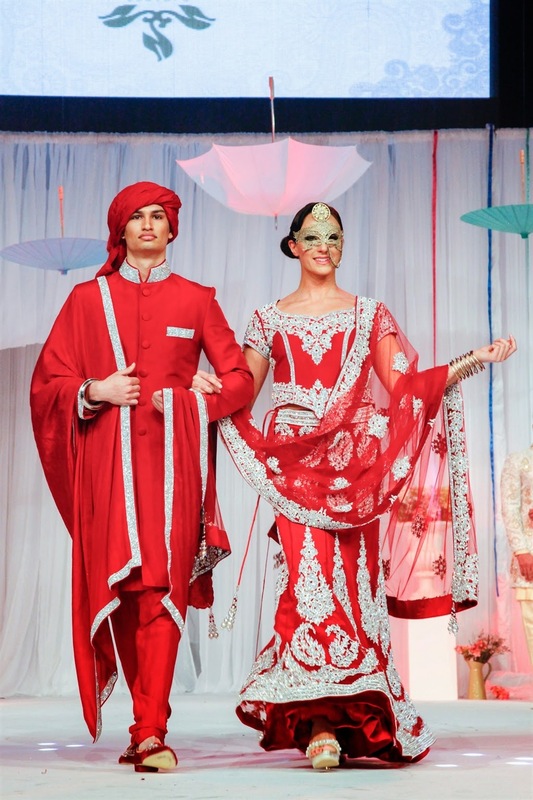 Bridal & grooms outfits are all bespoke at Sharon’s Couture we take into consideration your tastes, your fits, your body shape, colours that suit your complexions, styles, fabrics & embroideries also don't be alarmed I am honest so will be telling you what works and what doesn't, I wont just be pushing for a sale as want you to go away with an outfit that you will treasure as a Sharon’s Couture design but more importantly not only your representing yourself your representing me and Sharon’s Couture as brand. A high percentage of our clients are based on referrals, therefore if some sees your outfit they will ask who designed it & bingo another client to the Sharon’s Couture portfolio. 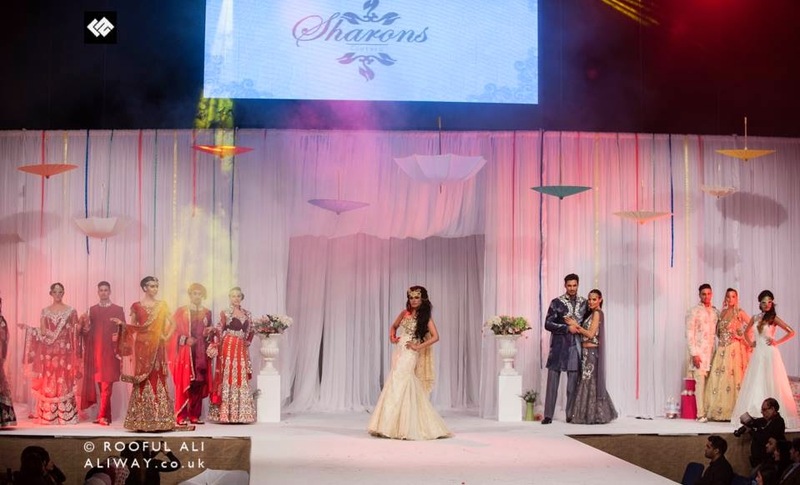 There is no harm in even placing an order a year in advance as at Sharon’s we launch our collections a year ahead for the orders to be placed & each bridal/grooms outfit is then individually bespoke designed so no other client will have a replica of your piece. For example the 2015 collection we will launch mid 2014 so there is no chance of it being dated. 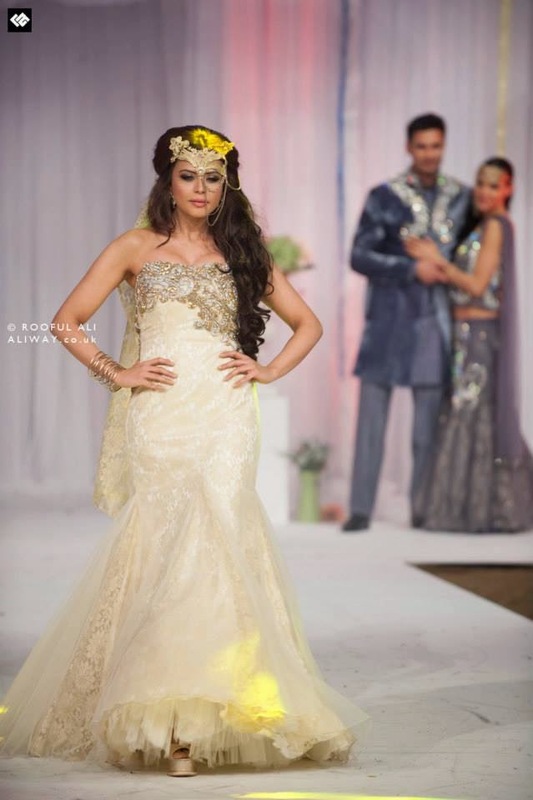 In regards to measurements we always ask our clients their desired body weights, most brides usually want to trim down or tone up same goes for guys most will want to bulk or slim & tone, so at your consultation of booking we take your current measurements & then your desired measurements on mutual agreement. 2/3 weeks before your wedding is usually when we will ask you to come in for a final fitting which is when we do any minor adjustments so your outfit is fit for perfection. 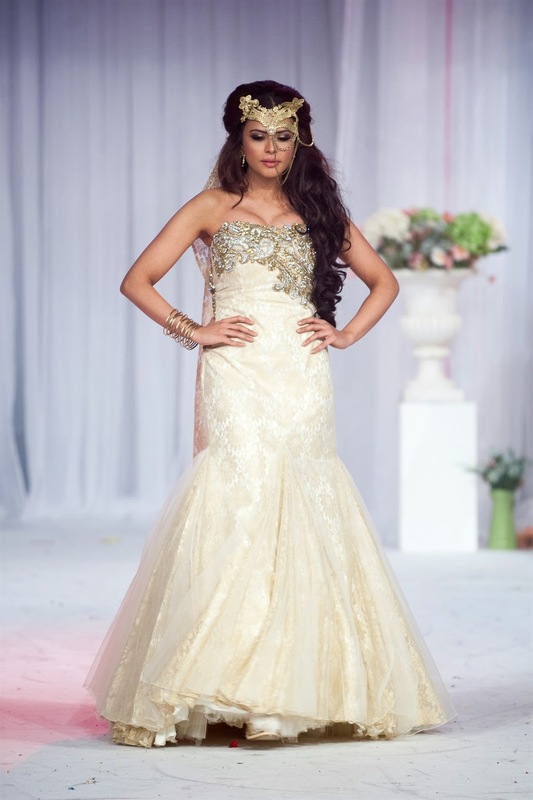 We usually do this as at this point from experience body measurements will not or do not change up till your big day. If any drastic body changes we usually ask before the order is placed & then production will begin. So the initial step is the first meeting, usually we ask our clients have a look on the website which is regularly updated as we advertise regular in wedding magazines & a lot of the shoots are done in house. As well as that we upload videos so you can see the fabrics, embroideries but obviously nothing beats seeing a design in a person. We get many brides from long distances so this is a good way of seeing before you buy or booking an appointment. Bridal/Grooms consultations have always been by appointment as this is our way to understand what you want, what look your going for & your ideas so don't be shy or ashamed to bring in any clippings, sketches etc you may have done yourself as this gives me an idea of what your after and how we can cater for you. Consultations can take anything from 30 minutes up to a hour an half we usually give each client that one to one experience therefore no interruptions and you can always feel at ease, try samples on & general discuss ideas without being rushed. It’s apparent that you obviously want your family members & friend’s opinions so I personally recommend you bring them on your initial consultation, usually no more that three people as too many minds will not agree on choice and to be honest may confuse you further. 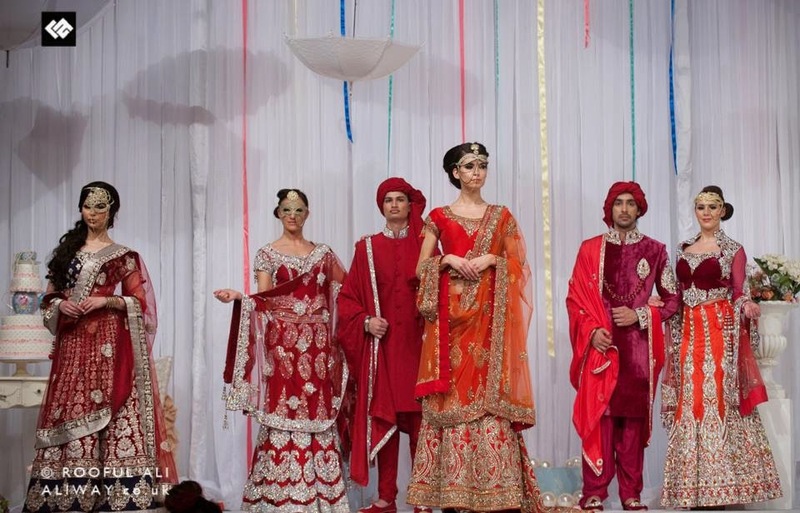 At your booking consultation from experience I recommend you bring one possibly two members with you otherwise alone as this is the most crucial meeting where we will sketch out your outfit, you will pick your colour, fabric, we will take your measurements, so your mind needs to be clear and focused at this point. This is usually the big concern we can easily say 'budget is not an issue' but come on deep down with all costs of the wedding mounting up you have to be realistic. 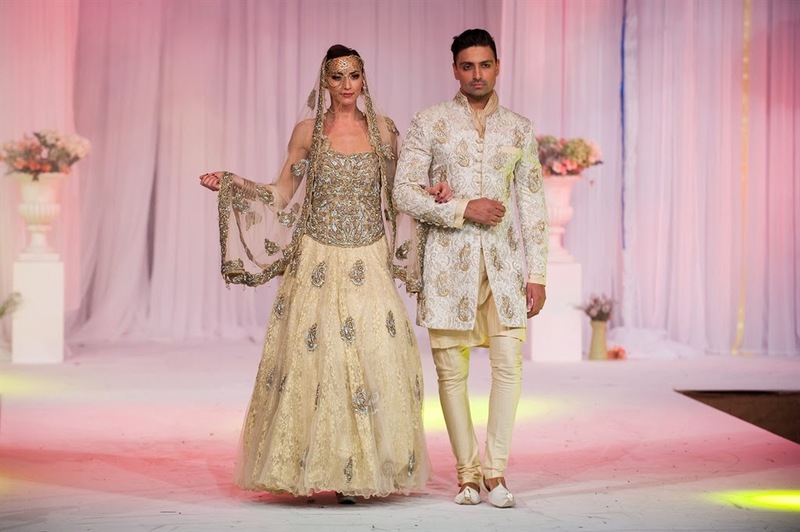 Bespoke outfits do generally cost a bit more than something that is off the shelf as its being specially made personally for you with your personal touch and taste on it. Even in India you can’t get a bridal outfit for £500 so if daddy/mummy say 'beta we get it from India, will be cheap' WAIT, STOP & THINK. Remember max you can take off work is probably 2 weeks, a minimum of 2/3 people will going therefore flight costs for a good flight is £600 plus each, accommodation, food, insurance, healthcare etc etc . If you’re going for a little break as well great but I doubt your going to be lengha/sherwani shopping in Goa, therefore its going to be stressful - noisy, pollution and pushy sales people. If you know where to shop in India GREAT! DO IT! But if you don't please do your research before hand. 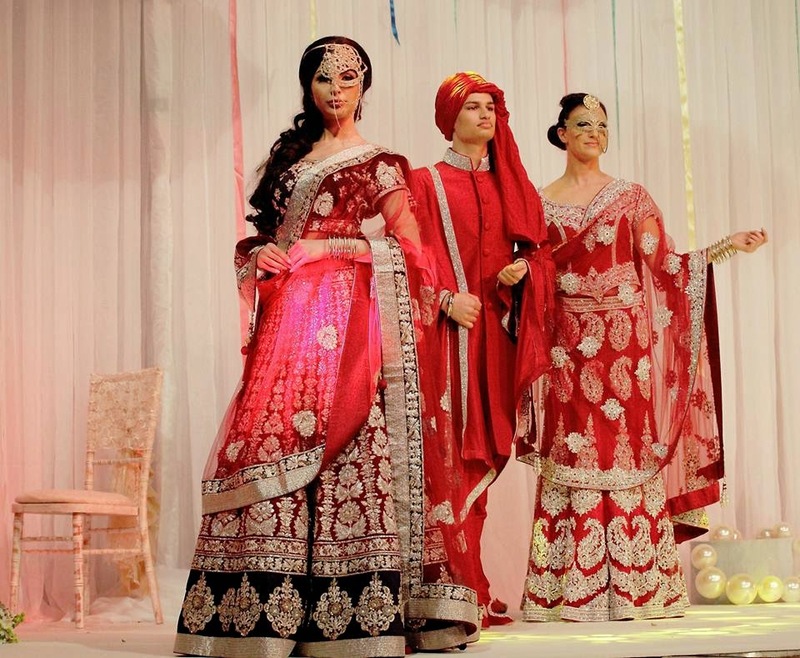 Indians or even Pakistani shops will say yes we can do it but trust me from experience the brides & grooms who've done this usually end up with something that's not been tailored or to the spec provided and if not off the shelf usually has to be made so will be delivered to you after you've left. Optimistic to see what it looks like your calling the shop in India when will it arrive, its not arrived yet, my weddings next week and when it arrives WHOPPS SHOCK HORROR its not what you ordered and trust me they will never admit to their mistakes, As a result Mr budget goes out the window and your back in square one having to fork out more cash. Don't get me wrong I’ve heard horror stories of boutiques here to but again do your research, maybe look at their real brides, contact them for referrals/references & read testimonials. 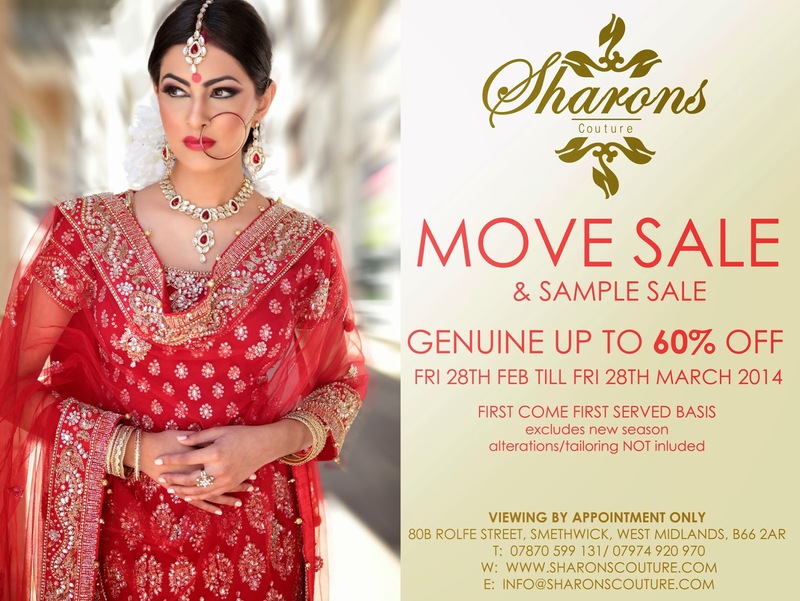 At Sharon’s our bespoke gowns begin from £700 and range up to £3000, Bridal Lenghas & Anarkali's from £1100 up to £4000 & Bridal Salwar Suits & Sherwanis from £550 to £1600. Most brides want to spend between £1500 - £2000 on one outfit & if changing twice a max of £3000 which is achievable at Sharon’s, as well as matching accessories bridal chura etc. For Men's it’s usually £800 - £1200 which then includes your shoes, Pala & pagh if Sikh, dependent on design, fabric & measurements. 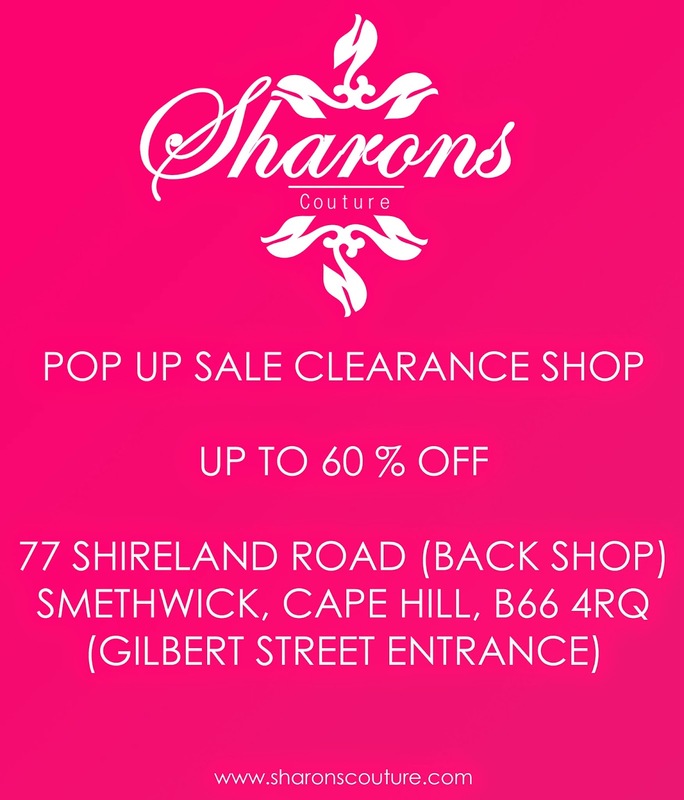 Sharons is also one of the only designer boutiques that will get the exact his/hers matching outfits with same fabric/embroidery so it can be all done under one roof. 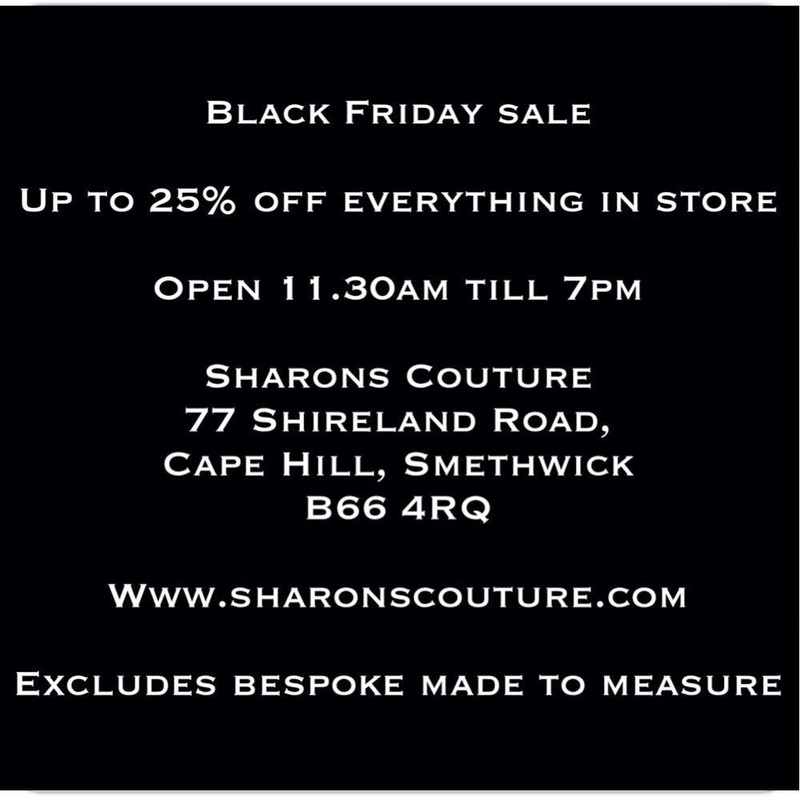 Currently our boutiques going through refurbishment but we are still taking appointments at the warehouse, Anyway I hope I haven't babbled on too much and in fact given you some useful advice/knowledge therefore if Sharon’s Couture sounds like a brand you would like your bespoke outfit designed from contact us today & book in your consultation with me. 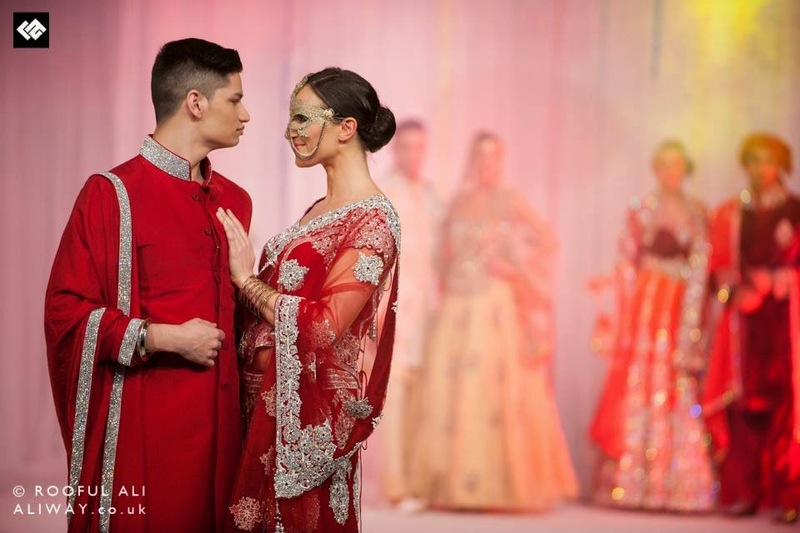 After months of public votes & scoring from judges the first winner of Face of Sharons Couture 2014 - MEN Male Model Search is 19 year old Sunil Patel of Wolverhampton. 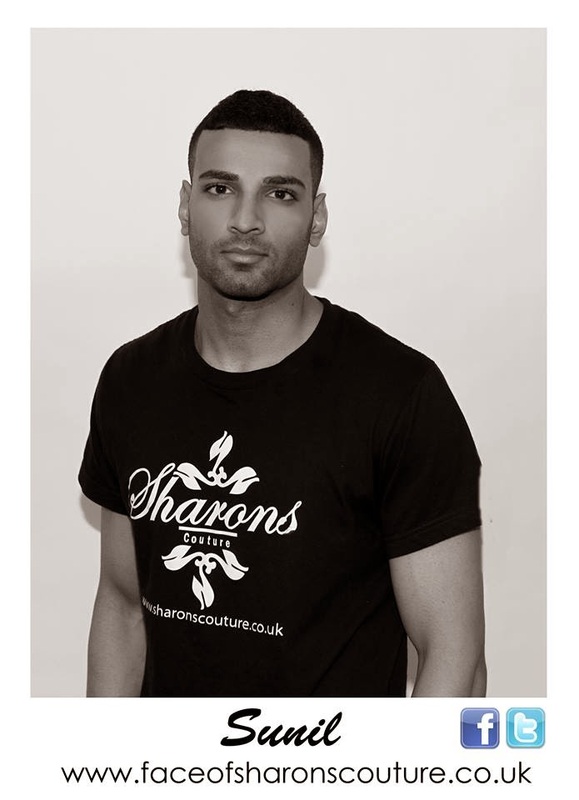 Sunil will be representing Sharons Couture for a whole year in all major campaigns, featuring in a advert featuring Sharons Couture Menswear & will also receive his first start up portfolio shoot with Hare. 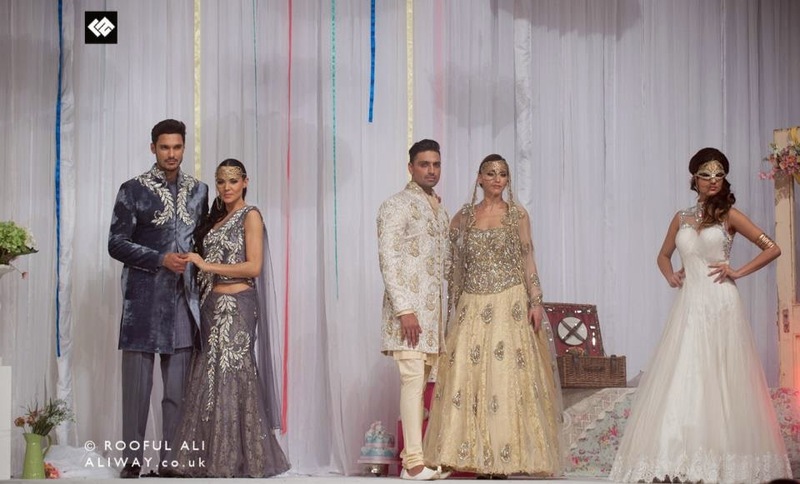 First runner up included Rashid Salim who was also the winner of public votes with 512 votes & second runner up Jordan Middlebrook of Sheffield. We look forward to working with all 3 male models & wish them all the luck for their futures as models. We would also like to thank all finalist applicants who made into the top 14; literally they were narrowed down from hundreds of applicants. We welcome Sunil, Rashid & Jordan to the Sharons Couture team & are looking forward to their first official photo shoot launching Menswear designed by Hare at Sharons Couture in the coming months. 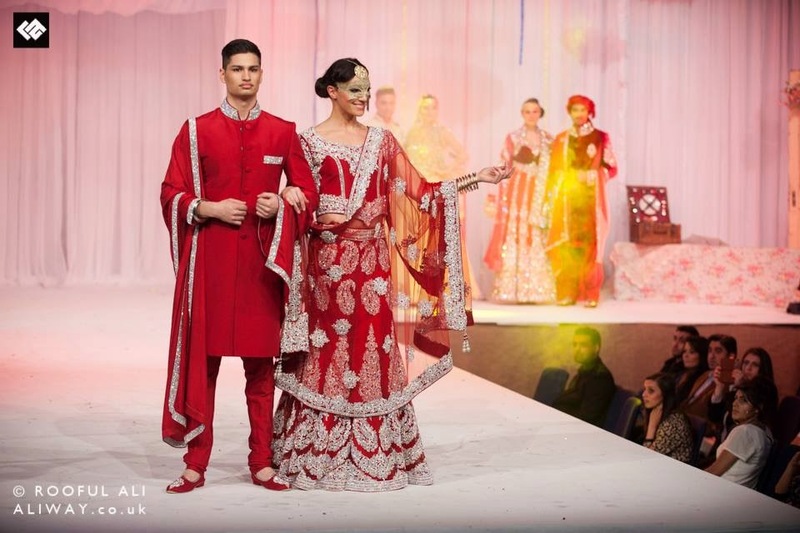 9th March saw the coming together of weeks of planning for Birmingham's finest catwalk & wedding show experience at the ICC in Birmingham presented by Asian Bride Magazine. The Show was put together by Adore Entertainments whom choreograph the likes of AWE just to name a few. With the segment opening with Pakistani supermodel Sabeeka accompanied by four muscular hunks to a traditional Indian soundtrack & golden eye masks with stunning jewels. 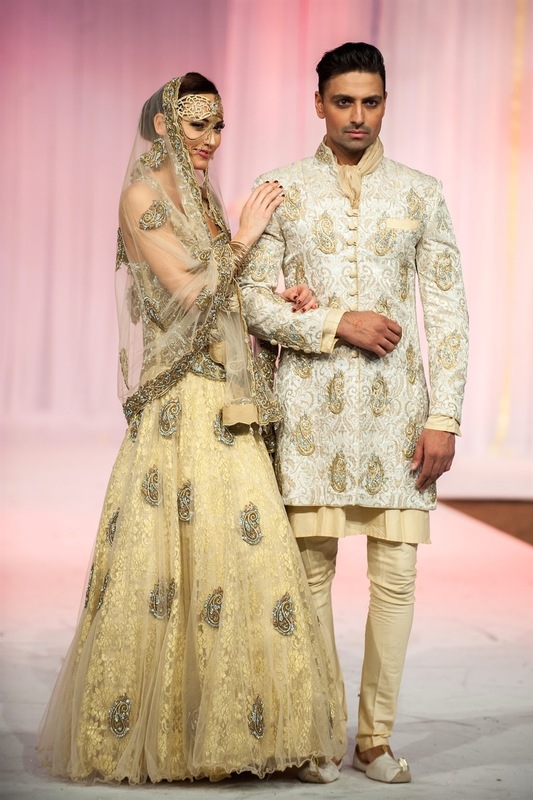 Each outfit was designed personally by head designer Haré Dhami taking into consideration styles, cuts, fabrics, shapes & colours. 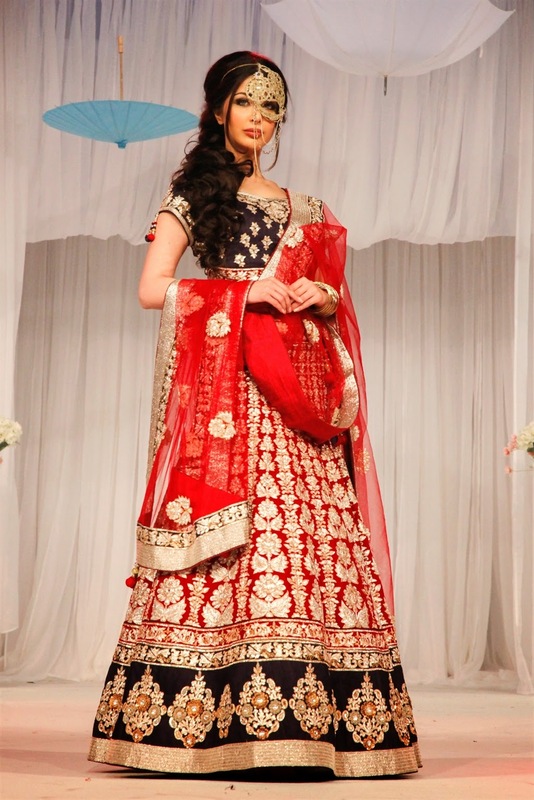 With the traditional element consisting of rich embroidered dhabkha work, swaroskvi elemented stones, fabrics including silk, velvet & brocades & colours such as rich deep maroon reds, burnt oranges, plums & even navy blues the contemporary saw use of French lace borders, shimmer lace, nets & again swaroskvi elemented stones in much lighter shades including, golds, off whites, ivorys & silver greys. Most outfits accompanied with matching shoes for the men & pouch bags for the women. 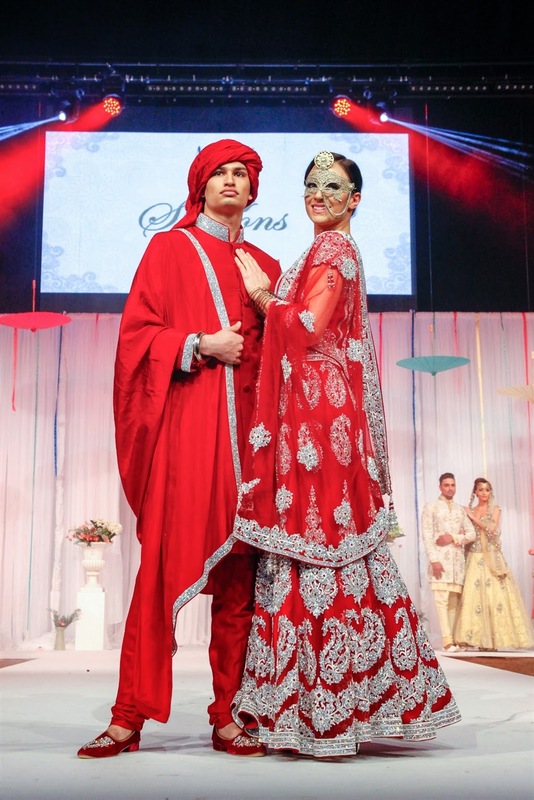 Haré Dhami at Sharons Couture launched his first menswear collection in 2013 which includes complimenting matching his & hers outfits with matching accessories for both the bride & groom. 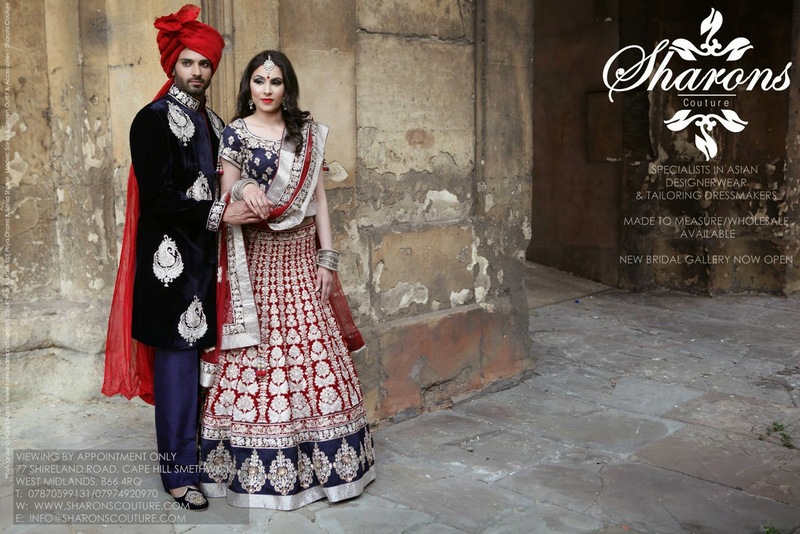 You may have seen the first 4 page advert in the winter issue of Asiana Wedding Magazine with Asiana agency based models but at Sharons Couture we have always believed in using new faces, since Face of Sharons for women began in 2009, in 2013 we launched the first search for a male brand ambassador who will represent Sharons Couture menswear by Haré in 2014. 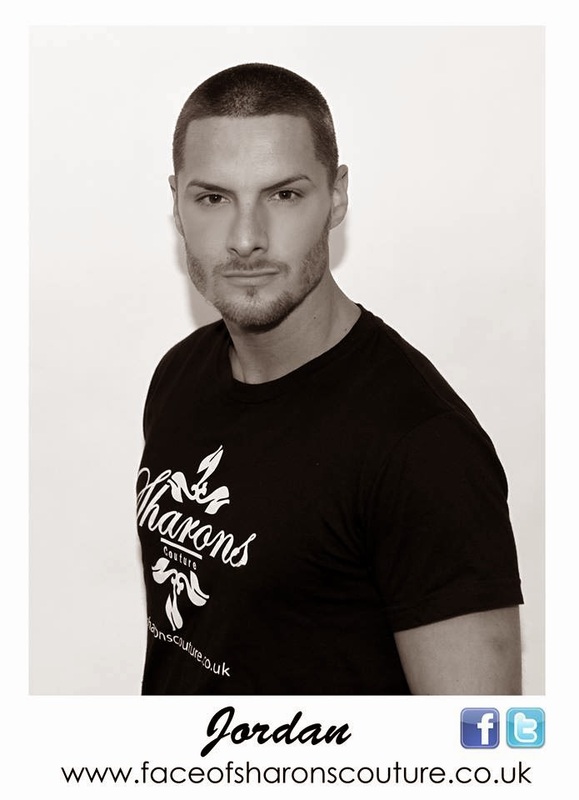 After numerous applicants & narrowing down applicants through the auditions process we have selected 14 gorgeous men.